Wine Country Theatre's production of Gypsy will show through Dec. 3 at the Park Street Ballroom in Paso Robles. Tickets range from $20 to $25. Visit winecountrytheatre.com for more information. It's dark, but the gleam of the iconic acorn clock tower in downtown Paso Robles tells us we're in the right spot as we turn onto Park Street on Friday, Nov. 17. 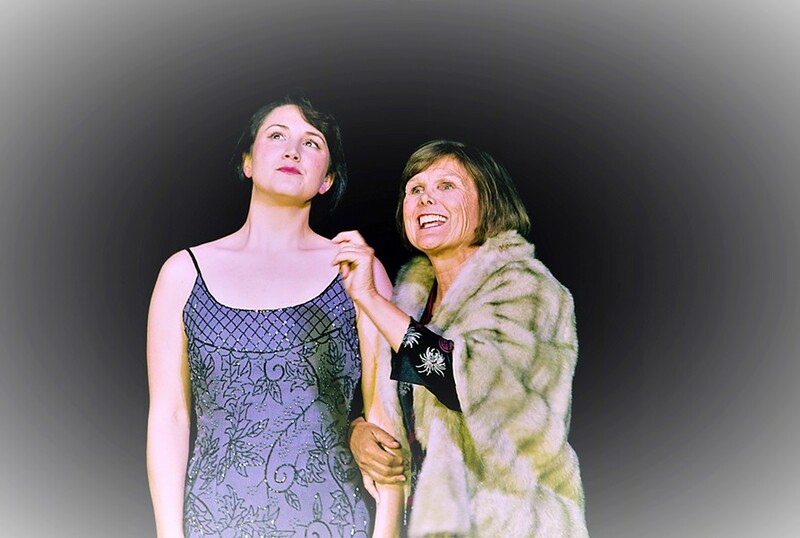 LIKE MOTHER Gypsy (Libby Parker, left) and her mother Rose (Sholly Von Stein, right) try and have a moment of understanding after a chaotic life in show business in Wine Country Theatre's production of Gypsy the musical. Paso is lit right now with people ambling in and out of restaurants, and as someone who grew up here when there wasn't even a movie theater, that's saying a lot. We're not here to eat or drink wine (favorite options in Paso). Instead we're ready for a night at the theater. The Park Street Ballroom is tucked away just beside McLintocks. Walk too fast and you might miss it. We make our way up the stairs, grab a program, and head in. It's not a traditional theater, but the chic, historic space is filled with tables that create an intimate atmosphere and allow you to enjoy wine and snacks all throughout the show. Wine in hand, we settle in, just in time for the opening number. 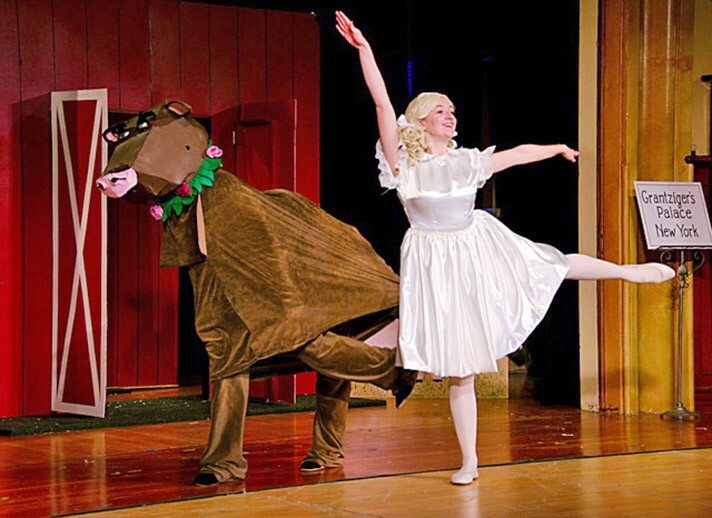 Gypsy the musical is on offer tonight, courtesy of Wine Country Theatre. The 1959 show (book by Arthur Laurents, music by Jule Styne) is revered among musical writers and critics, so I was hopeful we were in for a good time. At the helm is director Kristin Saunders (seen in performances on the Central Coast and in the Bay Area). 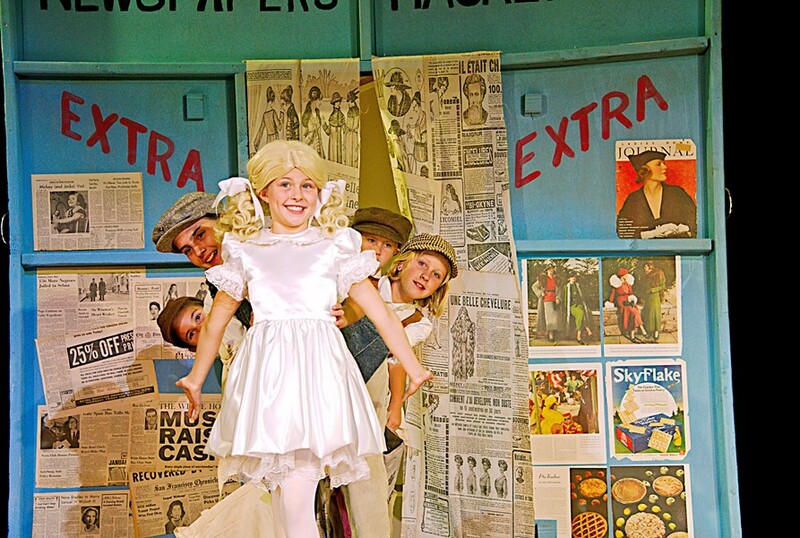 KIDDIE SHOW At her mother's insistence, young June (Ruth Schulte) becomes the star of a second-rate kids act, Baby June and Her Newsboys (left) that evolves into an older June (Makenzie Hart) starring in a very similar act, Dainty June and Her Farmboys. As I see it, Gypsy made backstage moms look horrifying long before Keeping Up With The Kardashians' Kris Jenner was shoving her kids into the reality TV limelight. It's a tale as old as time, really. It's the early 1920s and we have Rose (Sholly Von Stein, seen acting at Central Coast theaters for decades), who is something of a mess, probably because her own mother walked out on her and she has also secretly always yearned to be an actress. Both of those things are a winning combo for long-term emotional stability. With three failed marriages under her belt, Rose decides to put everything she's got into making sure her daughters, young June (Ruth Schulte) and Louise (Kaci Wagner) make it big on the Vaudeville circuit. This goes about as well as you'd expect. Along the way Rose drags the ever-hopeful Herbie (James Brescia) into the mess as the girls' agent. Poor Herbie, he just wants to sell candy, marry Rose, and whisk her and the girls off to a life of normalacy. In her pursuit of living her dreams through her children, Rose is relentless, even blatantly favoring June when she shows more talent than her sister. She's an awful mom, but with Von Stein in the roll, you can't look away and you can't totally hate her either, even as she ruins everything for herself and her daughters. The play jumps ahead a number of years and June (Makenzie Hart) and Louise (Libby Parker) are now young ladies. I'll try not to give the second half away, but when Rose ruins an opportunity for June that pushes her away, it forces the "momager" to put all her eggs in Louise's basket, which somehow leads them to a house of burlesque, a far cry from the dreams Rose had for either of her children. Arts Editor Ryah Cooley is going out on a high note at rcooley@newtimesslo.com.